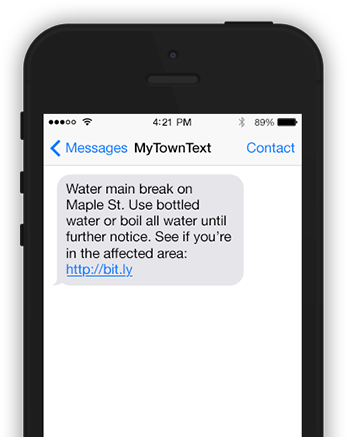 Keep your community aware of snow removal, road construction updates, and emergencies in an instant with your MyTownText program. 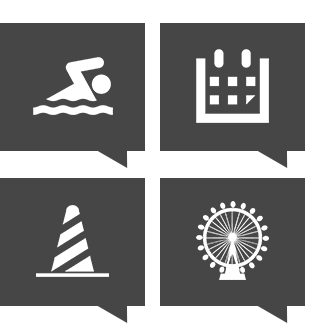 Connect your community to local events, town celebrations, pool closings, county fair happenings, and more! The MyTownText program allows you to add as many alert groups as you want. Create one for all local updates or make separate groups for special events. Unlimited keyword groups & contacts for organizing your messages and users. Schedule texts in advance and then forget about them. Let MyTownText take care of the rest. No contracts, DNA tests or FBI investigations. 2-way Communication. Respond in individual messages for additional clarification. 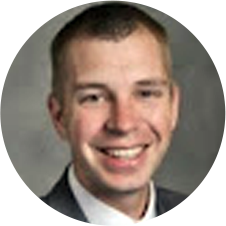 Connection to your social media to keep your friends and followers updated. 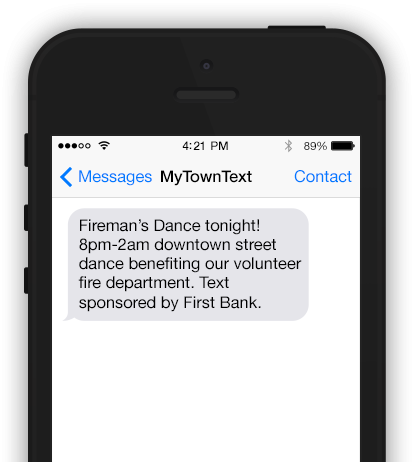 Help pay for your texting service by enlisting community leaders to sponsor your MyTownText program. Local newspapers, electric cooperatives, rural water cooperatives, banks, or health clinics make great sponsors! What phone number do users subscribe to? Users will subscribe to a local area code phone number we help you select. How does 2-way communication work? Users can reply to a text you’ve sent to a group of users. The reply only is seen by you. You can respond to the reply within the program. Keywords allow your community to join different groups of messages. You can have a group for emergencies and alerts and one for community events. There is no limit to the number of keywords you can have per number like other text companies. Does it cost a subscriber anything? Standard text message rates apply for subscribers. This includes when they subscribe to a group or if they reply to a text you’ve sent to your group. 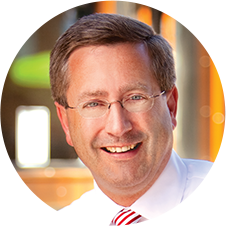 We're extremely excited to be using technology like MyTownText to connect our citizens with the information they want, when they need it. MyTownText has been a great tool for communicating timely information like snow alerts. We want to meet with you! Contact us today and we’ll set you up with a free demo to see how easy MyTownText is to use. © 2019 MyTownText. All Rights Reserved.